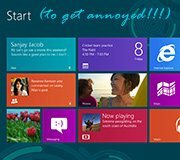 Windows is the popular PC operating system by Microsoft. Windows runs on PCs, laptops, phones, and other devices. 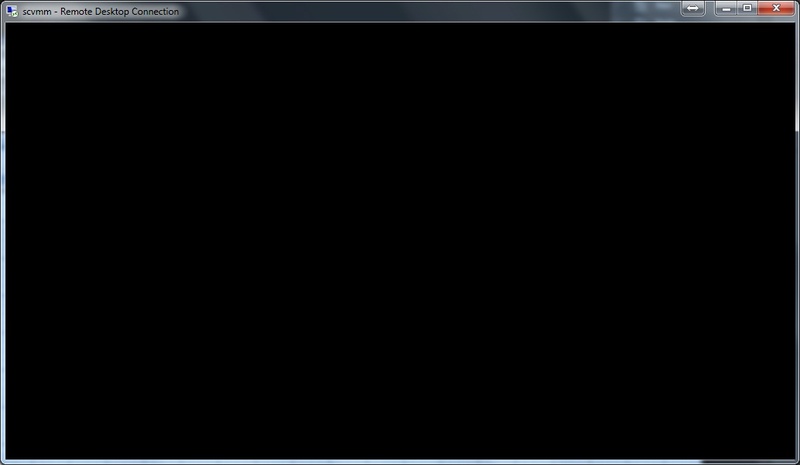 Every once in a while I’ll try to log into a server and get what I call the Remote Desktop Black Screen of Death. No matter how many times I log out, log in, try to switch resolutions, etc. I could never defeat it. Fortunately I just discovered a simple solution: hit the Remote Desktop equivalent of Control+Alt+Delete, which is Control+Alt+End. Well I finally installed Windows 8 because, well… somebody has to, right? Truth be told I was hesitant. I’m normally not one to buck changes but when I saw what Microsoft did to the UI I felt concerned about what was going to happen to my work flow. To put it another way: WHERE THE HELL IS MY START BUTTON, MR. BALLMER? Unfortunately we’ve gotten our first handful of Windows 8 devices at work and, since I’m responsible for desktop support, I pretty much have to learn it. Fortunately (or unfortunately) for you, I’m taking all of you along for the ride. Watch me screw up so you don’t have to! 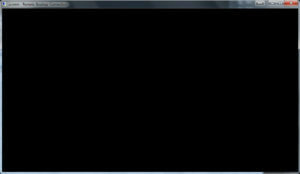 I’m a command prompt guy. If there is a way to do something with the keyboard, then by golly, that’s how I’m going to do it. But sometimes you’ll want to use a command whose options and formatting aren’t obvious, and when you type the command to view the command’s usage (usually by typing command /?, command -h, or command –help), black and white letters go flying by like a newspaper in a Blendtec ad. Linux users can read command documentation via the man command which provides detailed usage instructions in a way that’s easy to read and navigate. We Windows admins don’t have such a luxury, but you can mimic it. This method works, but what if you want to save the command’s output for use later? Earlier tonight I was setting up some development tools on my new laptop and ran across a problem that I had never seen before. When I began testing an application that uses the Facebook API (which depends on the CURL library), PHP insisted that the CURL extension was not loaded. I checked and double-checked that my php.ini file was correct (it was) and that the rest of my extensions were loading (they were). In order to enable this module on a Windows environment, libeay32.dll and ssleay32.dll must be present in your PATH. You don’t need libcurl.dll from the cURL site. In other words, you either need to adjust your PATH environment variable to contain C:\PHP or you need to copy these two files from that directory to a directory that is on the path, such as C:\windows\system32. Either solution should resolve the problem. What Ever Happened to Recovery Disks? Dear PC and Laptop Manufacturers? What ever happened to including a bundle of recovery disks along with your systems? In the event of a meltdown they were pretty darned handy. Today most of you sell your systems with a recovery partition right on the hard drive. My only thoughts as to why you’ve made this change is either to save money producing recovery disks, or to save your end users from inevitably misplacing them. Of course when your hard drive dies (which in my experience will happen eventually), you have no way to resuscitate your computer. Most of you actually have the gall to charge us to send a hard copy of the software that we already bought and paid for, which in turn pushes me to downloading pirated version of the software and then entering the user’s code to bring it into legitimacy. I’m a professional. I don’t like using these means to solve a client’s crisis, but sometimes its the only way. Please, start providing recovery disks again. At least when we can’t find them it’s no one’s fault but our own. https://www.reich-consulting.net/wp-content/uploads/2016/05/Reich-Web-Consulting-Logo.png 0 0 Brian Reich https://www.reich-consulting.net/wp-content/uploads/2016/05/Reich-Web-Consulting-Logo.png Brian Reich2010-10-02 10:37:162010-10-02 10:37:16What Ever Happened to Recovery Disks?